Non-elasticated storage nets are ideal for securing small loads and creating additional storage space. 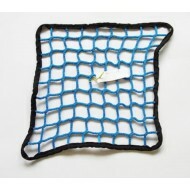 These nets can be used in cars, camper vans, mobile homes, vans and on shelves or walls to create extra storage space. These strong and hard wearing nets are made from knotless high tenacity propylene and are finished with a border for extra strength and shape retention. 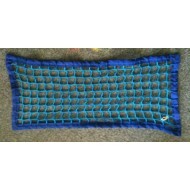 These storage nets can be custom made to any dimension to suit your requirements. Non-elasticated storage nets are ideal for securing small loads and creating additional storage spac..